Laura Cardinal is a criminal investigator with the Arizona Department of Public Safety. Her job- to investigate and bring justice to murder victims and their killers in small towns with limited resources. 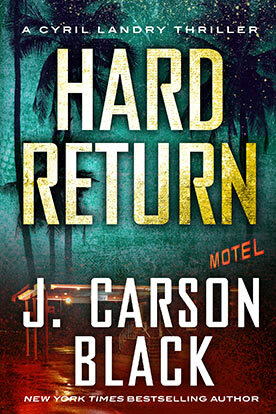 J. Carson Black reveals answers on the plot and character development of the Laura Cardinal Series. Q: Where did your inspiration for Laura’s character come from? A: I have always been intrigued by people whose lives change, usually through tragedy. I’m fascinated by those whose lives become bigger than they were before. John Walsh is a perfect example of this. His son is murdered, and his whole life changes. He has been responsible for the capture of hundreds of criminals, and in the process, become larger than himself. I grew up with a friend whose life was altered by tragedy. Like Laura, she was middle-class, went to college, and she was artistic. But after the tragedy (a result of gun violence) she became something else: a black-belt, multiple-Rottweiler-owning, gun-toting cop. Perhaps this person always resided inside her, but the transformation was incredible and complete. She has become an urban legend among the cops at TPD; some of them think she uses her hallway for a shooting range. I’ve been in her hallway, and there’s no way. Q: Why did you decide to go the route of a series as opposed to stand-alone type novels? A: I think of a series as building equity. With every book you write, whoever comes late to the party realizes you have a book before that and a book before that, and they buy those, too, which is good for your backlist. So many stand-alone books are just plain lost. Now, with amazon, if someone really wants to buy your first three or four books in a series, they usually can. But the main thing for me is continuity. I want someone I can depend on and grow with. Q: Where do you get your plot ideas? A: From everywhere and anywhere. I’ll be honest and tell you I had a leg up on the first book in the series. Cops, again. Two of them approached me and asked if I had a premise for the first book in my series. They were seriously worried about internet predation on children and wanted to get the message out to parents. They thought fiction was a good way to do it. They even had a scenario which impressed the heck out of me. (These guys could have been screenwriters!) The premise was open-ended and could lead anywhere: what would happen if cops in a small town took things in their own hands and lured a sexual predator to their town—and it all went bad? And so I wrote DARKNESS ON THE EDGE OF TOWN. The second book, DARK SIDE OF THE MOON, started with one idea (the dark side of love) but I realized that it needed another component. I read something on the truckloads of nuclear waste traversing our highways, going through the heart of two major cities: Flagstaff and Albuquerque. I wondered what would happen if someone got control of one of those trucks. DARK SIDE OF THE MOON, at its heart, is about how we see ourselves, and how we want other people to see us. It’s about what happens when that image of self breaks down. THE DEVIL’S HOUR is about a sociopath. I don’t want to give away the story line, but this, too, was inspired by an undercover detective who told me about that strangest case he had ever been involved with. (Another cop. Are you beginning to see a theme here?) And then one day I was sitting at a light and there was a purple PT Cruiser behind me. The man driving it was somewhere between forty and fifty, and he had a salt-and-pepper beard, wire-rimmed glasses, and hair parted in the middle that fell to his shoulders. Later that week I was finishing the last rewrite of DARK SIDE OF THE MOON in a cabin in the woods, throwing pages of hardcopy on the floor when I was done with them, when I suddenly thought of this guy. Now he had a name, a real white-bread monicker: Steve Lawson. And he had a dog, a black Labrador named Jake. The next morning I awoke at four in the morning and wrote what would happen to Steve Lawson and why. And what his connection to Laura Cardinal was. Q: Do you usually know where your book is going and where it will all end when you start, or are you the type who makes it up as you go along? Q: Does any of your own personal background go into Laura’s stories? If so, how about some examples. 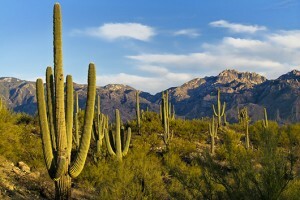 A: Laura grew up where I grew up, in the El Fuerte area of Tucson, Arizona. El Fuerte means “fort”. 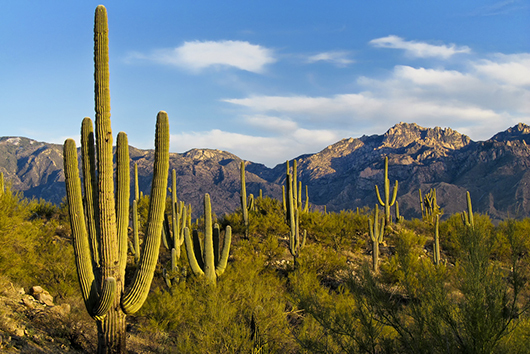 Fort Lowell was a cavalry fort outside Tucson in the late 1800s, and a neighborhood later grew up around the ruins. When I was growing up, there were lots of farms and ranches along the riverbed. And a little desert cemetery that gave me nightmares. The orange and white 1955 Chevy Bel Air that was used in the murder of Julie Marr was the same car that chased me when I was fourteen. I had been walking down a road after getting into a fight with my friends and splitting up with them. Recently, I found a three-page description I wrote of the chase for English class. It was over-written; heavy on the heart-pounding, throat-closing, knees-shaking, but a nice effort nonetheless. Laura had a horse, and so did I. When I was seventeen years old, I spent a goodly number of nights sitting on the ground waiting for a mare to foal; she never did—not until I had gone home to sleep. So I used this for an important event in DARKNESS ON THE EDGE OF TOWN.